New hotel has four event studios that can host up to 100 delegates in the legislative capital of South Africa. 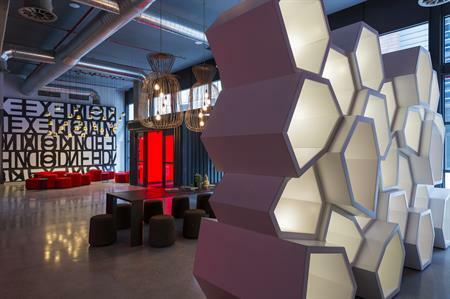 The Radisson RED Cape Town has opened its doors in the V&A Waterfront's newly revamped Silo District. There are four events studios, (32sqm, 45sqm, 48sqm, 116sqm) that can host up to 100 delegates, as well as 252 rooms – ranging from the standard two-sleeper studio to the studio suites, with balconies and sea views and pet-friendly rooms. "Radisson RED is a completely new and different hotel concept. It is bold and alive, and provides an experience like no other," said Mark Willis, Carlson Rezidor Hotel Group's senior area vice president for the Middle East, Turkey and Africa. "Radisson RED boasts a forward-thinking design and offers a new experience, fuelled by personal interaction and personal choice." Guests at the hotel can use the fully-equipped gym before popping down to the trendy OUIBar and KTCHN for a refreshing, local craft beer or cocktail and something to nibble on. The opening of the Radisson RED Cape Town follows global launches in Brussels, Minneapolis and the most recent addition in Campinas, Brazil.